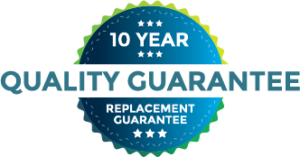 This limited warranty is made by ConfiDental to Patient, as the parties are identified in the Treatment Information section on the cover of this certificate brochure. Coverage: Subject to the terms and conditions stated below, Dentist will repair or replace without charge to Patient any Covered Treatment that fails due to faulty materials or workmanship, provided that Patient Responsibilities as described herein. Term: Coverage of Covered Treatments begins on the Treatment Date and expires 1 year from the Treatment Date.  (If the term listed on the cover of this warranty brochure is greater than 1 year, please refer to “Maintenance Agreement” section below. Subject to the terms and conditions started below, Dentist or Dental Practice (“Dentist”) agrees to provide care and services to Patient reasonably necessary to maintain Patient’s Covered Treatment(s) in good condition and working order. Dental Treatment Maintenance Visits: Beginning after the Treatment Date, Patient is entitled to Dental Treatment Maintenance Visits as prescribed by Dentist for the duration of this agreement. Dental Treatment Maintenance Limitation on Value: Dentist shall provide the care and services necessary to maintain Patient’s Covered Treatment(s) in good condition and working order at no charge to Patient up to a value equal to the Treatment Cost. Treatment Cost is the total amount paid to Dentist paid by or on behalf of Patient for the Dental Treatment subject to maintenance under this agreement. If the cost of maintenance exceeds Treatment Cost, Dentist will deduct the Treatment Cost paid from the charges associated with necessary additional or alternative treatment(s). Coverage of Covered Treatments begins on the Treatment Date and expires after the number of year listed on the cover of this brochure as the Term. Covered Treatment: One or more of the Treatments Eligible for Coverage provided to Patient by Dentist on the date(s) indicated on the Treatment Information section, above. Treatments Eligible for Coverage: The following types of treatment are eligible for coverage under this Limited Warranty and/or Maintenance Agreement Fillings, Bondings, Crowns, Buildups, Posts, Bridges, Inlays, Onlays, Porcelain Veneers, Dental Implants, Abutments, Implant Crowns, Dentures, Partial Dentures, Sport Mouth Guards, Bite Splints, Bruxism Guards, Snore Guards, Sleep Apnea Appliances, Grafts, and Sinus Lift Treatment. Consult your Dentist to determine which of your dental treatments are eligible for coverage. How to obtain Care and Service: in the event of a failure of a Covered Treatment, Patient must (1) notify Dentist of the failure within a reasonable time after discovery (not to exceed 7 days) and (2) schedule and attend an appointment with Dentist at which Dentist will take or schedule corrective action. Patient’s failure to timely notify Dentist of a failure to appear for a scheduled appointment is grounds for voiding coverage. Rescheduling is permitted if required by Patient or Dentist. What is not covered: This Limited Warranty and/or Maintenance Agreement does not cover: Preexisting conditions, Cosmetic discoloration, failure of a Covered Treatment due to: failure of Patient to comply with his or her Patient Responsibilities, other treatments, medical conditions resulting from substance abuse, medical conditions that cause damage to oral structures including the supporting bone around implants, loss of a removable prosthetic or appliance. Exclusion: This Limited Warranty and/or Maintenance Agreement is a complete statement of Dentist’s warranty obligations. Dentist makes no other warranties, written or express. Unless prohibited by the governing law, all implied warranties, including any implied warranties of merchantability and fitness are excluded. Patient’s sole recovery from breach of this Limited Warranty or any implied warranty shall be damages in an amount not to exceed Treatment Cost, that is, the amount paid to Dentist for a failed Covered Treatment. In no event shall Dentist be liable for incidental or consequential damages. Other Available Coverage: Dentist reserves the right to require Patient to submit claims on Covered Treatment(s) under any available insurance or other medical or accidental health benefit programs prior to obtaining service under this Limited Warranty and/or Maintenance Agreement.